Windows are an important part of every home. They provide a unique style to your home while allowing for natural lighting. Whether you are looking for new construction windows or replacement windows, Nexterior Construction is the right partner for any home owner. We install energy efficient wood and vinyl clad windows from some of the best manufacturers in the business like Andersen and Pella. Combine quality windows with our quality installation from experienced craftsmen and you have years of care free living. We install vinyl windows that are Energy Star® qualified and available in double- and triple-paned variations. We also offer wood clad windows that provide a feeling of elegance to any home and come in a variety of stains. We even offer options that feature vinyl exteriors and wood interiors. Our professional sales staff will work closely with you to determine the best windows for your home. You can rest assured we will offer honest advice not windows with the highest price. All of our windows are backed with lifetime manufacturer warranties and installed by the best craftsmen in the area. 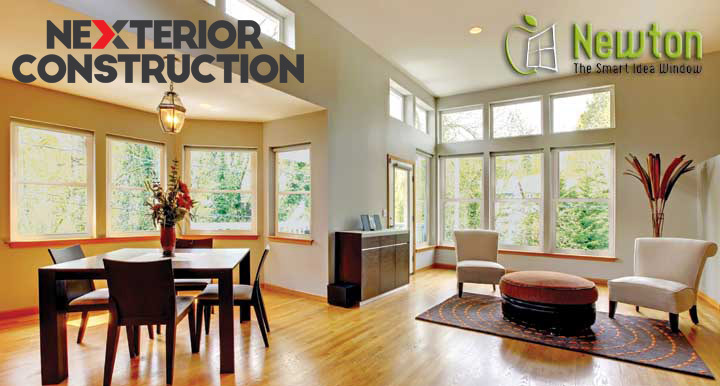 Partnering with Nexterior Construction will provide your home with a lifetime of beauty and energy efficient living. Contact Nexterior Construction to schedule a free in-home no-obligation consultation and discuss window options that are perfect for your home. Our doors come with full manufacturer warrantees. Call Nexterior Construction today to schedule your free in home no-obligation consultation, and find the next great entry door for your home.